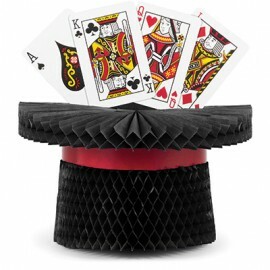 Card Night Centerpiece J, Q, K, A Standup. 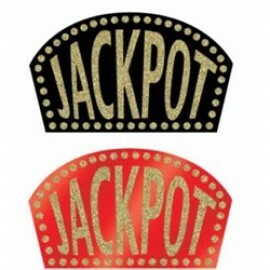 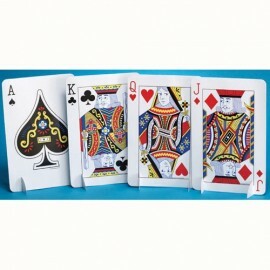 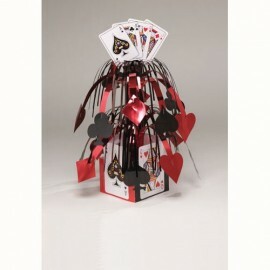 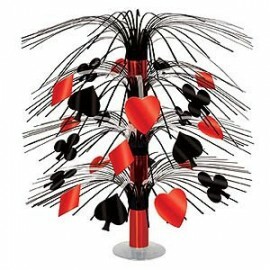 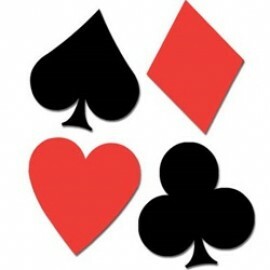 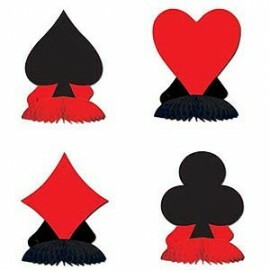 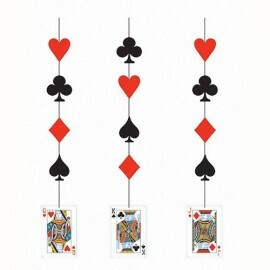 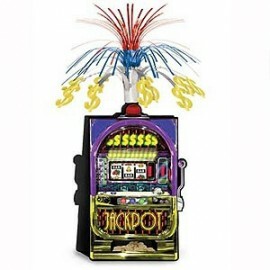 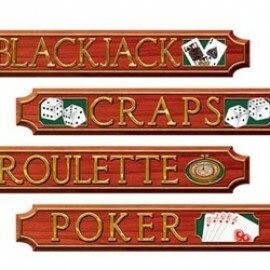 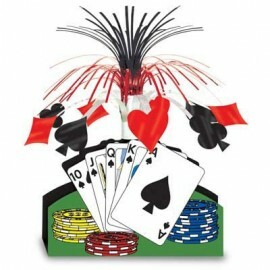 Size: 19.68cm x 30cm Each..
Card Night Centerpiece, Mini Cascade with Printed Base (38cm Tall when assembled) Each..
Card Night Hanging Cutouts Pack of 3..
Centrepiece Cascade Casino Cards (45cm) Each..
Centrepiece Cascade Casino Jackpot (37cm) Each..
Centrepiece Cascade Playing Cards (33cm High) Each..
Centrepiece Magic Party Top Hat & Cards Honeycomb 30cm (Some Assembly Required) Supplied Flat Each..
Centrepieces Mini - Card Suite (12cm) Pack of 4..
Confetti Money Triple Pack (34g) (Choking Hazard, not suitable for children under 3) Each..
Cutout Jackpot Sign Glittered Cardboard (26cm x 45cm) (Image shows both colours available, assorted colours sent when ordered) Each..
Cutouts Card 'Suits' Cardboard (43cm) Printed 2 sides Includes, Spade, Heart, Club & Diamond Pack of 4..
Cutouts Casino Signs (10cm x 60cm) Cardboard Pack of 4..
Dollar $ Sign Foil Cardboard Cutout Gold 40cm Printed 2 Sides Each.. 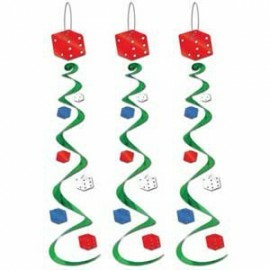 Hanging Decoration Whirls Dice (Approx 75cm Drop) Pack of 3.. 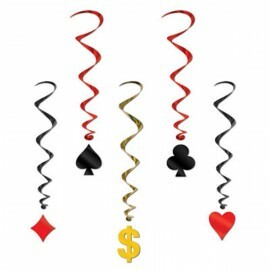 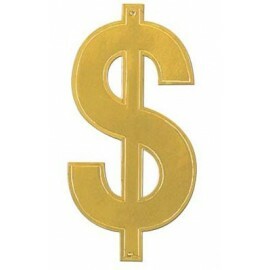 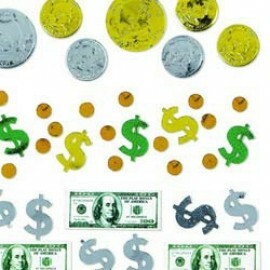 Hanging Decoration Whirls, Card Suits & Dollar Sign (85cm Drop) Metallic Pack of 5..